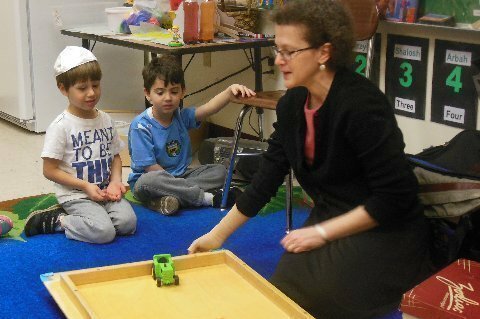 This week in Science, as we celebrate Hanukkah, we learned about spinning. We began with our weekly card game to get us in the proper frame of mind. 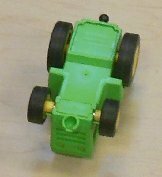 Next we watched as a toy tractor moved down a tilted table top. The tractor was rolling – the wheels were turning and the tractor was moving from one place to another. Then the tractor was flipped over and its tires were spinning – the wheels were turning, but the vehicle wasn’t moving anywhere. We looked at some examples of spinning objects. and a celt (also known as a rattleback). 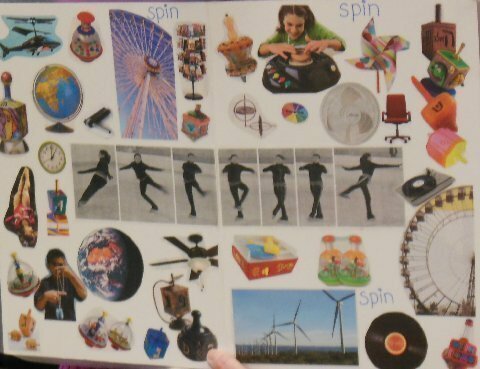 Then we tried to think of some other examples of spinning things. We came up with quite a few. The gyroscope was our favorite. We wanted to see it spin again and again! We also watched several short video clips of ice skaters doing spins on the ice. We talked about how the skaters could change how fast they were spinning by moving their arms (and legs). When they moved their arms away from their bodies, they spun slowly. When they moved their arms close to their bodies, they spun very fast. I demonstrated this while sitting in a spinning chair. Unfortunately, I don’t spin very well. 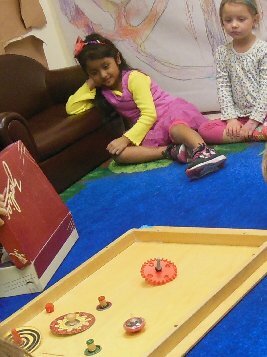 Finally, after I had recovered 🙂 , everyone had the opportunity to spin in the chair (if they wished to do so) and to try out all of the different spinning objects. It was just like being a dreidel.